The exact date on which King Edward IV married Elizabeth Wydeville is uncertain, but traditionally they are held to have married on, or about, 1 May 1464. In literature, Mayday had long been associated with romance, chivalry and passion. The selection of the date was appropriate, because Edward's marriage to Elizabeth appears to have been a love match. The marriage took place in circumstances of secrecy. Elizabeth's mother Jacquetta attended - and perhaps arranged the match - as did an unnamed priest. Two gentlewomen also attended. Contemporary writers and chroniclers later wrote, variously, that Elizabeth had enchanted the young king under an oak tree; that she had defended herself with a dagger when he attempted to force himself upon her; or that he threatened her with a dagger. Edward has been criticised by modern historians for selecting Elizabeth as his bride. However, there were good reasons to marry her. Firstly, she was undoubtedly fertile. She had already produced two sons in her first marriage, and she herself had thirteen siblings. Clearly, from Edward's perspective, Elizabeth came from good stock and would be able to produce sons, which was the primary duty of the medieval queen. Secondly, as later events would show, Elizabeth was beautiful, intelligent, charismatic, pious and ambitious. Thirdly, she was descended from the ducal house of Luxembourg, and could in theory offer her husband a prestigious foreign alliance. Fourthly, she had been married to a Lancastrian knight and the Wydevilles had traditionally supported the Lancastrian regime, so marriage to Elizabeth offered Edward the opportunity to heal the divisions between the warring houses of Lancaster and York. On the other hand, Edward's choice was surprising to his contemporaries, because Elizabeth was not a foreign princess; marriage to a French princess would have been more profitable both for Edward and for his kingdom. The earl of Warwick had been negotiating for the king to wed Bona of Savoy. By marrying an English widow, Edward failed to consolidate his position, which was a risky policy given that he was a usurper. The situation in England remained precarious, and marriage to a foreign princess would have offered the promise of foreign military and diplomatic support, in the wake of further conflict and bloodshed. Secondly, the marriage alienated Warwick, who had supported Edward until that point. There is no evidence that the nobility as a whole resented the Wydevilles, but they were certainly disliked by Warwick, and he was a dangerous enemy to have, as events were to prove. In defying convention, Edward behaved exactly like his future grandson Henry VIII, who married four English women, at least two for love. King Edward has often been viewed as a serial womaniser, and indeed it is possible that he was actually married to Eleanor Talbot before marrying Elizabeth Wydeville. The king could not have known it, but his previous involvement with Eleanor was to jeopardise his marriage to Elizabeth. In Richard III's reign, the Wydeville marriage was declared invalid and the children of Edward and Elizabeth were declared illegitimate and unfit to succeed. In September 1464, Edward finally admitted that he had married Elizabeth. 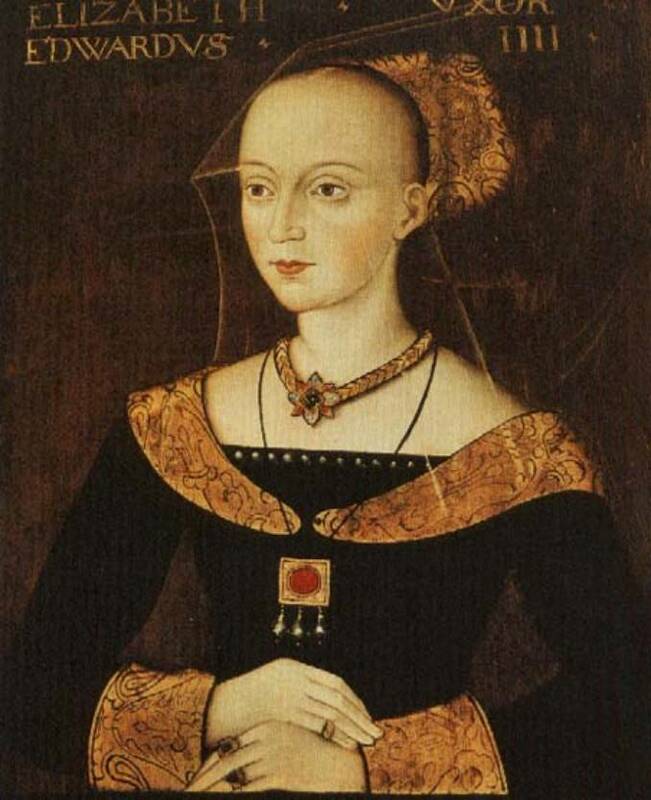 She was crowned queen on 26 May 1465, and gave birth to their first child, a daughter named Elizabeth, in February 1466. The marriage seems to have been a successful one. Elizabeth demonstrated her suitability to be queen and was praised for her constancy and modest behaviour, particularly during the troubles of 1470. Ultimately, it was their daughter Elizabeth's fate to be queen of England as the wife of Henry VII.